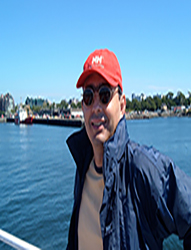 Sergio Orrego is Associate Professor at the Forest Science Department, Universidad Nacional de Colombia, Medellín, and REES-EfD Colombia Research Fellow. He holds a PhD in Forest Resources from Oregon State University. His research interests are economic valuation of environmental goods, forest economics, ecosystem services, urban residential water demand and climate change, and economic analysis of air pollution in urban areas.He is interested in applying economic analyses to improve the efficient management of natural resources and ecosystem services.